If you're in the market for a new trampoline, there are a lot of great options to choose from. 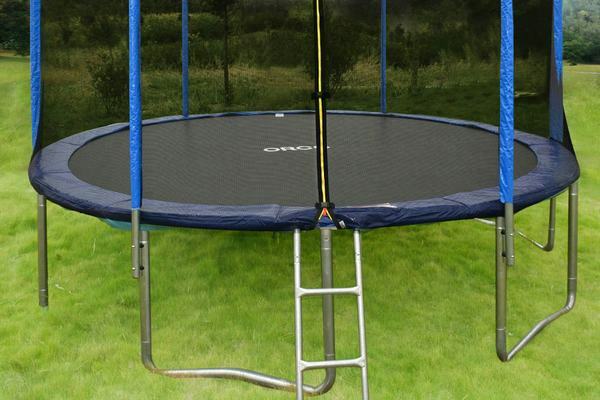 There is no right or wrong answer when it comes to choosing the right trampoline to meet your needs. It all comes down to what's important to you and what will work best in your particular situation. In this ORCC trampoline review, I'll walk you through some of the features the company offers in its two most popular trampolines: the oval 15-foot and 12-foot options. A UV protected jumping surface, which lasts longer in the sun. This means you won't have to replace it very often, if at all. 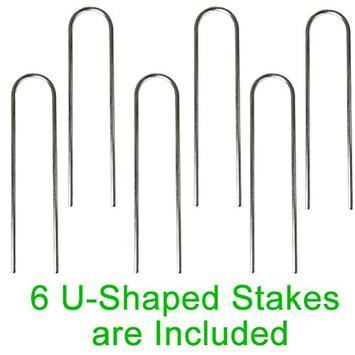 Seven-inch heavy-gauge springs that are designed to be rust-resistant and also provide a good deal of bounce. ​A heavy-duty frame made from rust-resistant, galvanized steel. 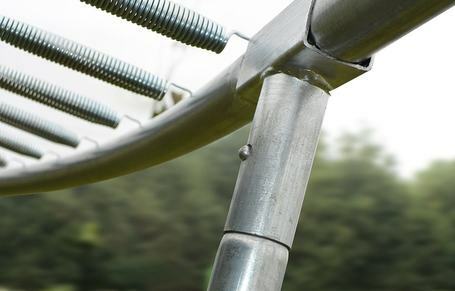 ​ORCC trampolines frames accommodate up to a total of 108 springs, which is more than other manufacturers provide. This helps provide a higher bounce and a more stable surface. ​Heavy-duty ladder for safer entry and exit. Given the relatively low price of these trampolines, which we'll discuss in more detail in a moment, the extras that are included with your purchase are actually a pretty good deal. Construction is solid and I do like the fact that these trampolines include more springs than some other brands. It's important to note that not all of their trampolines come with this many springs, though. More on that in a second. Now that we've gone over some of the basics that apply to all ORCC trampolines, let's talk about a couple of different size options. This is one of the largest trampolines you can get and comes with everything listed above. 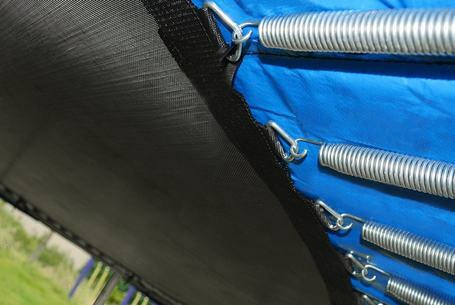 The ORCC 15' trampoline frame does accommodate a total of 108 heavy-duty springs, which I personally like for the added bounce and stability. That can become important, especially when you have multiple people jumping at the same time. The ORCC 15' trampoline should be able to safely accommodate up to four people at a time, depending on the size and weight of each jumper. Price: This trampoline is currently available at around $350, which is actually not a bad price for a trampoline of this size. If you don't have enough space for the larger 15' trampoline, or you simply don't need one that big, the ORCC 12' trampoline looks to be a pretty solid alternative. This trampoline doesn't come with as many springs as its larger counterpart, which isn't terribly surprising given its diameter is two feet smaller. Still, I might have liked to see more than the 72 springs that it does include. A difference of 36 springs seems a bit extreme, given the relatively small difference in overall size between the two trampolines. I can't help but wonder how this will affect airtime when multiple jumpers are present. The ORCC 12' trampoline should be able safely to accommodate up to three people at a time, depending on the size and weight of each jumper. 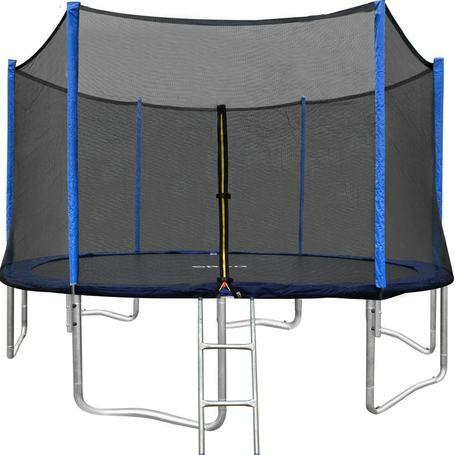 Price: This trampoline is currently available for around $300, still not a bad price for everything you get, despite the fact that I'd like to see more springs on the frame. Overall, the quality of these trampolines looks to be pretty solid. While I would like to see some sort of safety certification, the lack of one isn't always a deal breaker. There are a few keywords to look out for when you're shopping for a quality trampoline, and ORCC does a decent job at hitting on most of them. 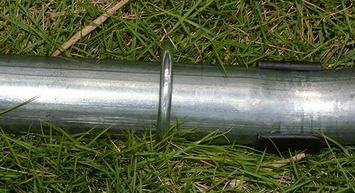 In particular, I appreciate that both the frame and springs are made of rust-resistant heavy-gauge steel. 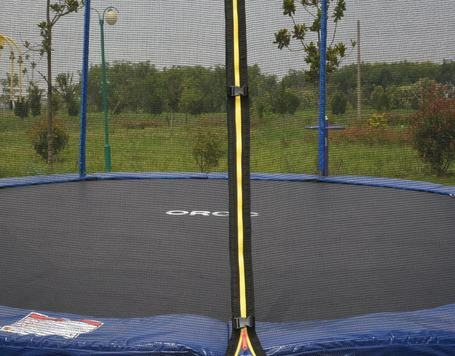 No matter which size you go with, if you do choose an ORCC trampoline, the weight limit is the same. This is largely due to the unique construction of the jumping pad and heavier-gauge steel used for the frame. The weight capacity for both the 15' trampoline and the 12' trampoline is 330lbs. It's difficult to find much about ORCC as a company, given their apparent lack of an official website. ORCC is not the only trampoline manufacturer that's difficult to locate on the internet though, so as much as I don't like this fact, it's really not all that surprising. 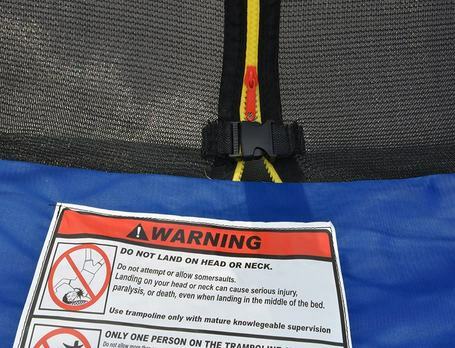 You'll have to rely mostly on the documentation included with your trampoline should you ever need to contact the company's customer service department, so it's important to keep this information in a safe place. Warranties also seem to be a bit shrouded in mystery with ORCC. I can tell you from personal experience that their trampolines do come with a 60-day limited warranty for replacement parts, but that's about all the information the company makes available online. Interestingly, if you try to view warranty information for these trampolines on Amazon, you're instructed to visit the company's website. Which nobody seems to be able to find. ​12' foot trampoline could have more springs. ​Contacting the company may be problematic. Warranty information could be more readily available. ORCC trampolines are available at a number of physical retailers, but my favorite place to look is always Amazon. Purchasing through Amazon does tend to make things like contacting the company a bit easier if it becomes necessary and these trampolines offer free shipping, which is a nice bonus. Plus, when you buy from Amazon, you've got their guarantees working in your favor, which can come in handy under certain circumstances. While there's a lot to like in an ORCC trampoline, there are also a few points that I don't necessarily like. I do love the solid construction, but my personal preference is to buy from a company that's easy to work with. I'm not saying ORCC isn't that, but I don't really like the lack of publicly available contact information. If public company information isn't as much of an issue for you and you're more concerned with the construction of quality of your trampoline, ORCC is a solid choice to consider.